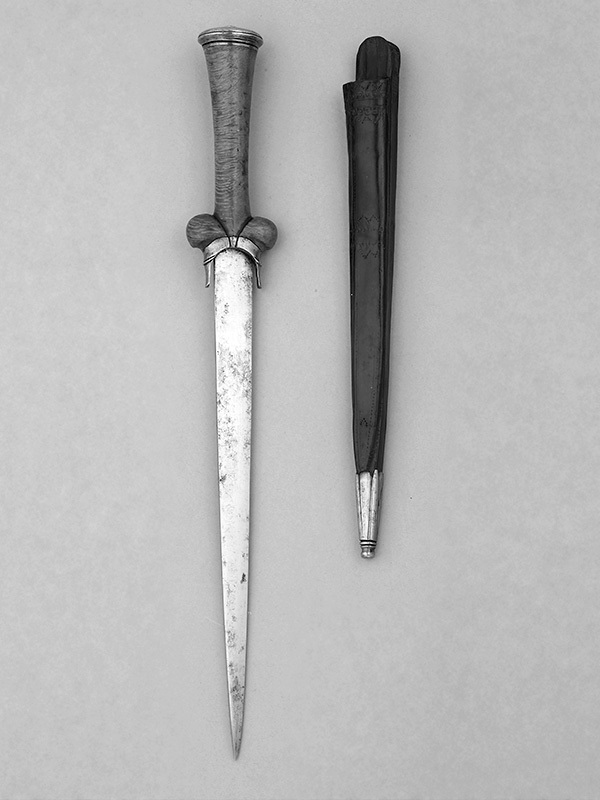 The ballock dagger was a form of dagger in wide use for several centuries. 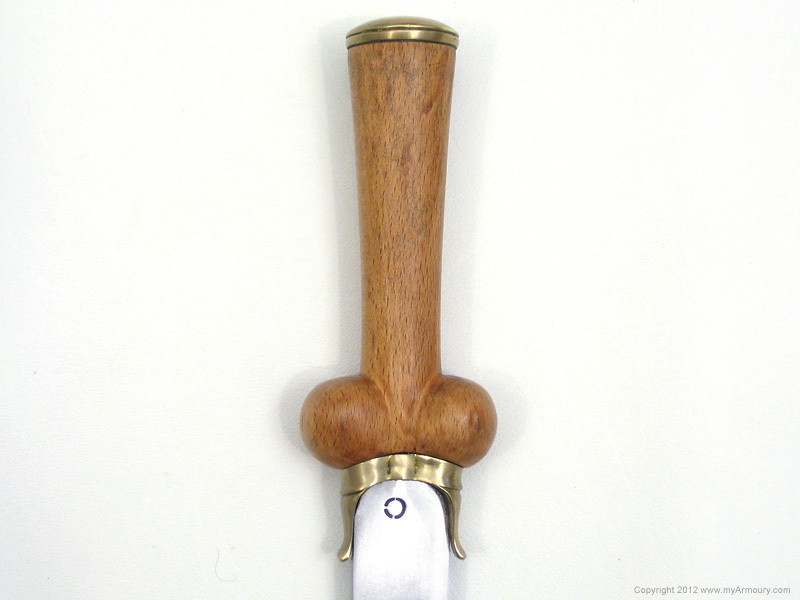 Named for its phallic hilt (an upward-swelling shaft atop two lobes), it has also been called a "kidney dagger" by those trying to be more genteel. 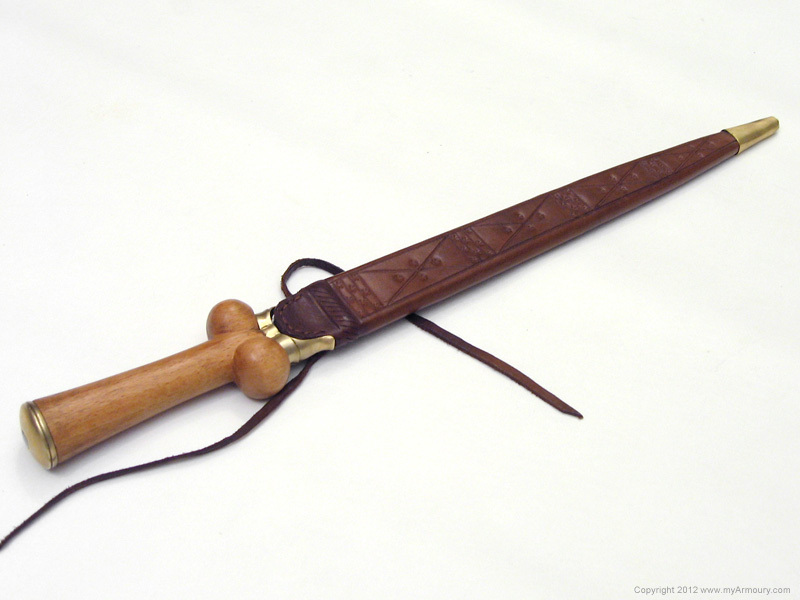 Made in many sizes and with varying shapes in the hilt, it is a dagger form that was used by both civilians and soldiers. Many fine examples survive, including a well-know one in The Wallace Collection (item A732), on which this piece is loosely based. 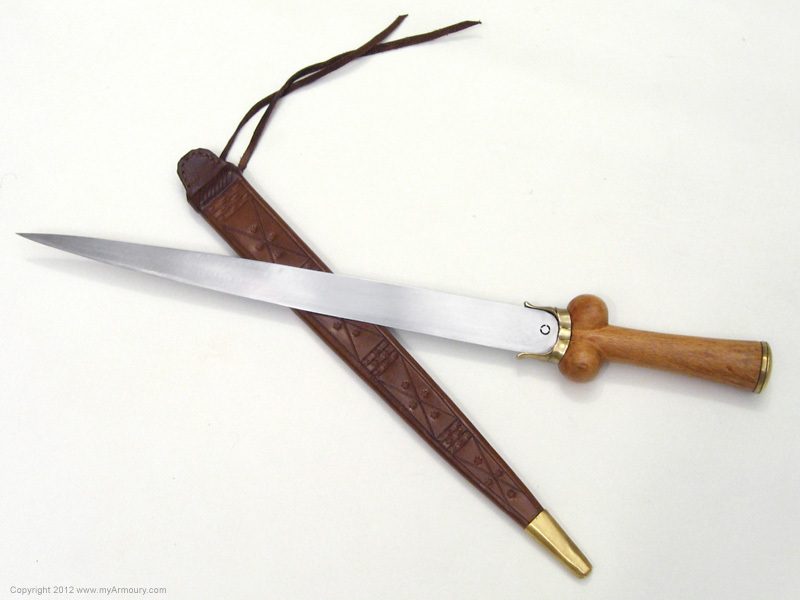 This ballock dagger differs slightly from the English Cutler's stock version. Its grip is of linseed-treated beech wood, instead of polished ebony. 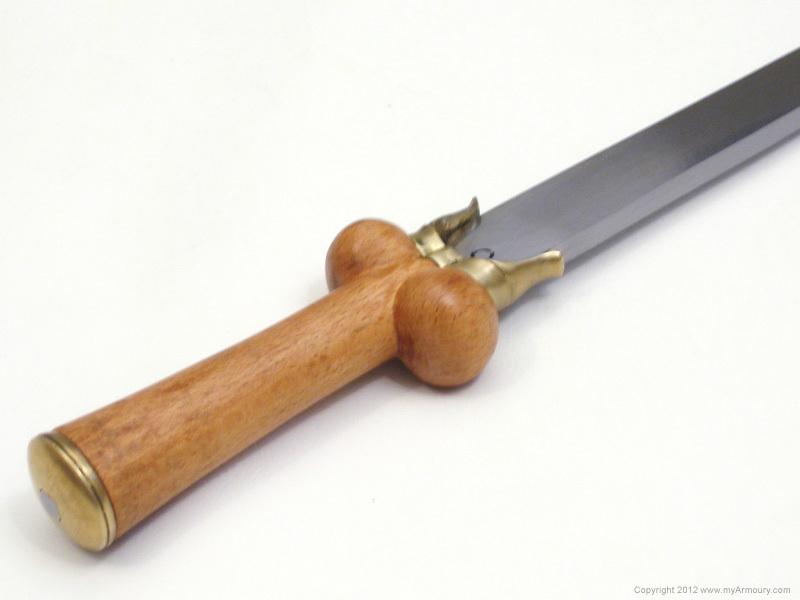 The fittings are brass and the long blade is of steel that is over a one-quarter of an inch thick at the base. The scabbard is of two layers of leather, dyed brown rather than black, and decorated with stamped and incised decoration as well as a brass chape. See our hands-on review for more information on this dagger. Blade: 13" long; 1" wide tapering to .3"
Maker: The English Cutler of Oxford, United Kingdom. Loosely based on item A732 in The Wallace Collection.